Eerie, unsettling and a benchmark production for children’s television in the 1970s, Sky was created by Doctor Who stalwarts Bob Baker and Dave Martin as one of the run of outstanding children’s dramas HTV produced in that decade. Filmed in such richly atmospheric locations as Avebury, Glastonbury Tor and Stonehenge, Sky is a mixture of ecological fable, science fantasy and good, old-fashioned peril. One of the most memorable television series of the 1970s is available here, for the very first time in any video format. Episodes three and seven no longer exist in the archive in any format and the version included on this set is taken from an off-air VHS (supplied by classic TV organisation Kaleidoscope). 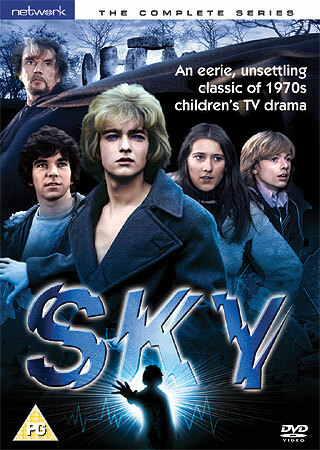 Sky – The Complete Series is priced £12.72 and is avilable from Network DVD here.